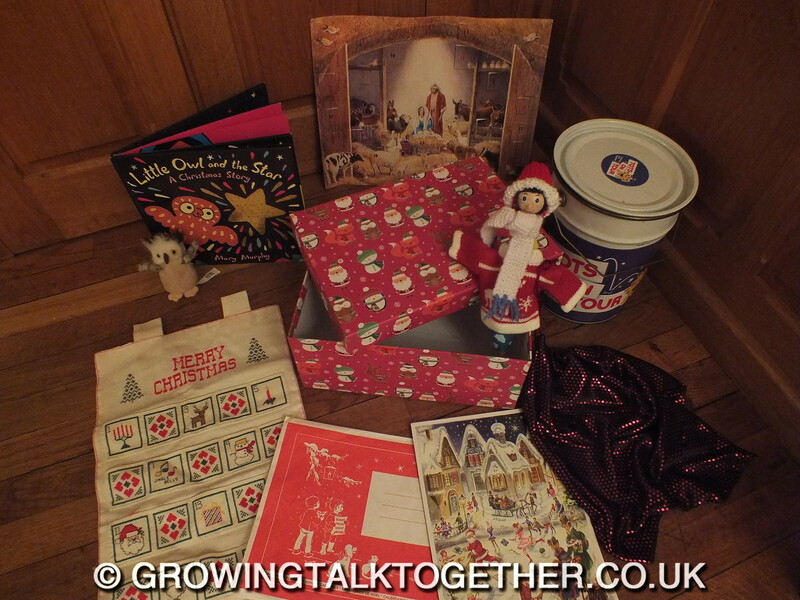 Our Advent calendars are ready which means the festive season is here! 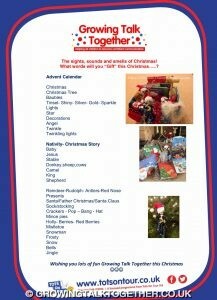 For many of our children this will be the first time they experience “Christmas” an exciting time, but with so many new words and changes in routine it can also be a bewildering time. We will use this opportunity tohelp them “Grow” their Chatter and vocabulary. Think carefully about the the many multi sensory ways you can share these new words with the children so they are meaningful and easily understood. Then ensure the children have the opportunity to use them. 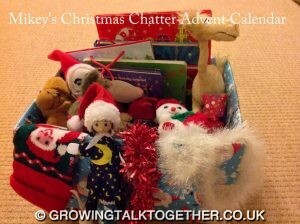 Mikey plans to hide a new object in his Christmas box/bag/tin every day! 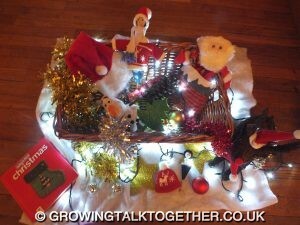 Over the next few days all his objects will relate to the Christmas tree. 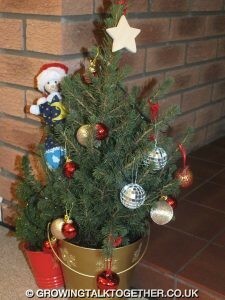 We always have a small tree the children can decorate. Putting the baubles on the tree and taking them off again is lots of fun!! 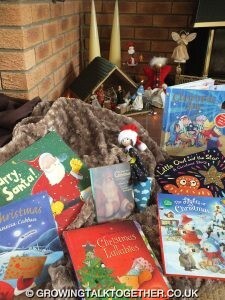 Collect together a basket of Christmas themed books. One of our favourites is Little Owl and the Star– A very simple nativity story where a little owl follows a sparkling star that takes him to the stable. But what is a stable, a camel , a donkey ,shepherds and Kings! Who is Baby Jesus? A great excuse to play with the farm animals, baby dolls and dressing up clothes. The children may enjoy dressing up as shepherds and kings and maybe Santa too! Do they have a sack for Santa? What word will you use for the wonderful bearded man dressed in red? What do the children’s families call him? What simple Christmas songs and rhymes will you share? 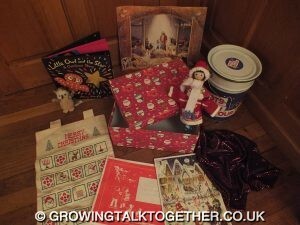 Please share your favourites and have fun this Christmas Growing talk Together!